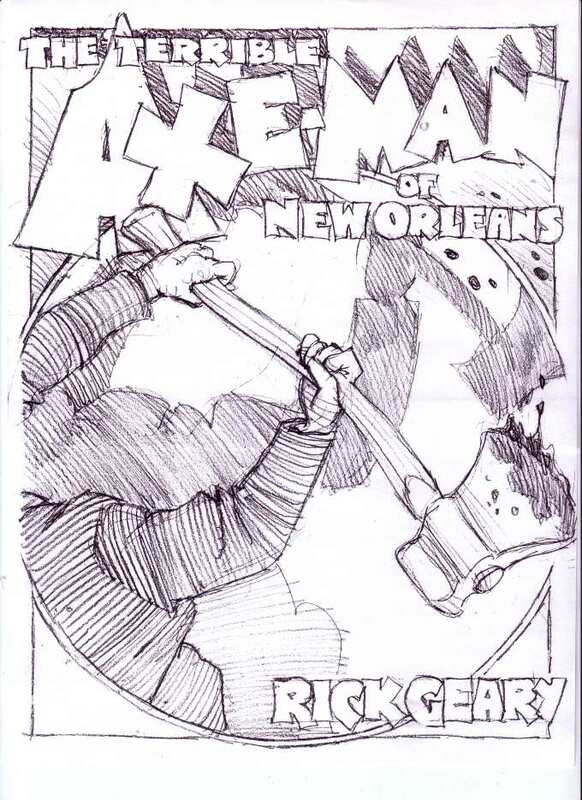 Below are three preliminary sketches for my new book for NBM “The Terrible Axe-Man of New Orleans.” I had been reading for years, in various sources, about the bloodthirsty killer (or killers) who dispatched six people, grievously wounded six more, held the city in a state of fear during the years 1918 and 1919, but was never caught or identified. Research was daunting since the information exists piecemeal in different articles and anthologies and is often hazy or contradictory. In many respects, the story has passed into the realm of folklore. No one has yet written a book recounting the entire case. My script, consequently, is cobbled together from a multitude of sources both in print and online. This looks gorgeous. I know very little about this case but I’ve always wondered if it was connected to the Torso Murders in Cleveland a couple of decades later. 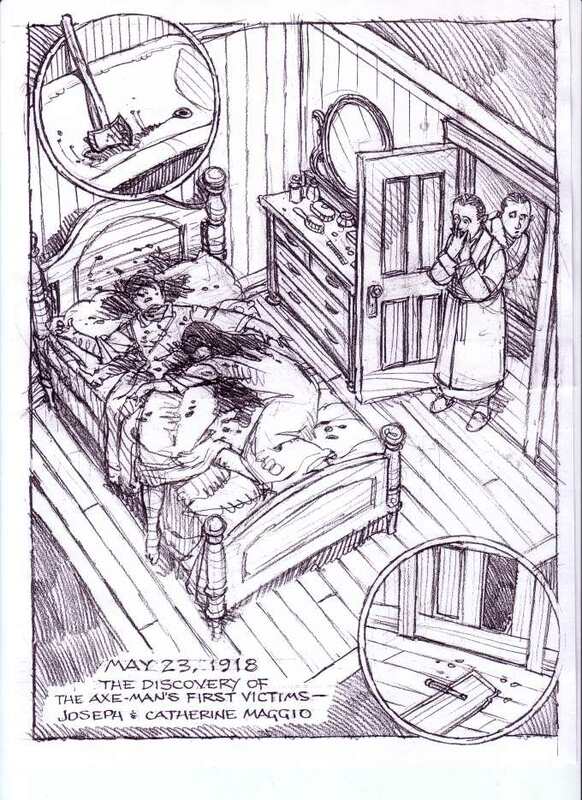 Another fascinating, unsolved series of murders- which helped put Elliot Ness’ life and career on a sad trajectory. I look forward to seeing this project completed. 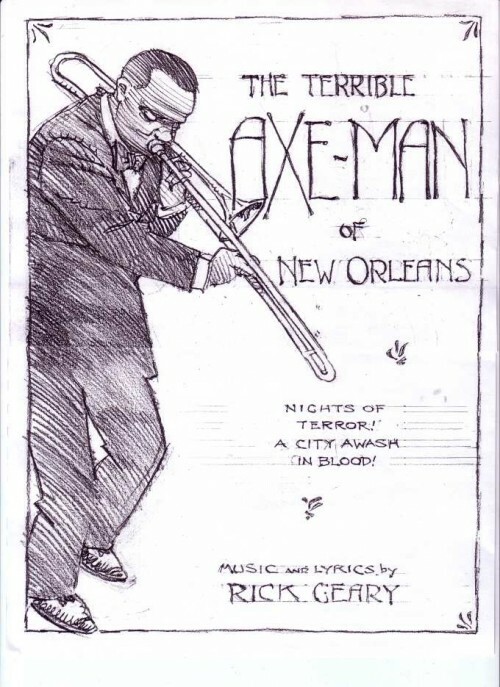 Look for “The Axeman of New Orleans,” by Alan Shields, Detective Cases Magazine, Vol. 41, No. 2, April 1991 (New York: Globe Communications), 18-19, 37-40. It would be easy for people to criticise, but I’m with you on this.